Comrade Utohware Godwin Udumubrai, A.K.A Baba Lagos, is no longer a hidden name as far as literary field within Isoko nation and beyond is concerned. His is a man who had distinguished himself, first as a critical writer and currently a major Isoko language developer and historical researcher. In fact, he is gifted in the act of writing. He speaks to the press to clear the air on his marriage saga which had produced so much conflicting versions especially from Evang. Emmanuel Ofano, who appears to be in full control of his wife, instead me, the husband. Q: Sir, many people are of the view that after your last interview, you were being blamed for taking your private matrimonial home into public arena, especially considering your family stand in the society. Why the option of talking again? ANS: Thank you very much for such remark. I want to use an argument between two persons over my public comments to answer your question. Shortly after my first interview, a serious argument came up between two readers. The first one cast so much blame on me for making a private issue public because it concerns the mother of my children which can also affect their public image. But the second man had a different view. He went on to ask his counterpart these questions. One, he asked him if the mother actually knows whom she is and the implications of her action? Two, whether she also expects that the news of running away from her marriage will not spread across the public, drawing different reactions? If this is the result, why did she, in the first place, take that strange, questionable and shameful action? Three, as if this was not enough, instead of leaving and remaining quiet, why did she start to create lies against the same man to justify her reason of leaving the marriage? While doing this, did she expect the same man who later discovered the conspiracy involved between his wife and her exporter, Evang. Emma Ofano, to remain quiet? Who actually are we going to blame now? Did she ever consider before taking that senseless action? The second man concluded by asking his counterpart. The counterpart responded that as it is now, it is very hard to continue to blame the husband because the husband was made to suffer double injustices, conspiracy to scatter his home and a victim of falsehood. In this situation, the husband has no choice than to take an honest action of clearing his name through any effective medium available to him, the second man concluded. Based on the above premise, I have to react this time again to clear my name against Evang. Emma Ofano falsehood as I have also suffered the many injustices, but the main one being a victim of gargantuan falsehood to cover up his inglorious and ungodly action by seizing the wife of another man, while his family, sister and daughters are at peace in their various marriages. And I want to add, as a seasoned public servant and a properly trained journalist at that, I am equally someone who keeps family secret very sacred. Q. What is your focus this time around? It was Evang. Elvis late night call on the 23/8/15 which later confirmed that she has been in the Crusade organized by Evang. Emma Ofano yet none of them responded which shows actual conspiracy at work. Evang. Elvis Osiota actually returned her to my home on 24/8/2015 and told me that it was spirit husband that is the problem. He forced my wife to apologize for disobedience and insubordinations. But surprisingly, while she was busy going from place to place giving different reasons to different people on why she left the marriage, the issue of spirit husband was not mentioned. Q. Is it true that, Evang Emma Ofano, the popular man of God, actually remove your wife from your home? ANS. The simple answer is yes with these details. On Nov 6th, 2015, arising from a minor misunderstanding, Evang. Emma Ofano, responding to a call from her, directed Evang. Henry Ofogbo, another religious singer based in Ughelli and a stooge to Emma Ofano and a man who had eaten from my pot several times to come and remove my wife not to any of my family member at Ughelli, or Uzere, which is very close to Oleh, nor to any of my wife’s relatives there in Ughelli or Emevor, but to his place at Oleh, the domain of the super master. While this action was going on, I was in my hiding place because I ran out of the home to avoid her aggression with the hope that her mind must have been calmed down before my return. When Evang. Henry Ofogbo came while in my hiding place, I personally spoke with him but l never knew he has instruction on the plot from their super master to deport my wife to his place at Oleh. As this plot was on, Evang. Emma Ofano did not call me or direct her to even my very close cousin, Sir (Hon.) Prosper Irogbo, who shared common-boundary with him there at Idheze road, lrri. I quickly put a call across to him, the principal conspirator, to know from him whether he told others that I am beating up my wife and to know from him whether a man in Oleh can at the same time know exactly what is happening elsewhere and why he to remove her without my consent, he answered me with shivering lips, claiming that I was beating her up, hence he took her away. I asked him further if he was there in Ughelli at the scene and whether he was aware that I am the husband to the woman he took out of my home? He was neither here nor there until him, again, for the second time, promised that he will call some persons to resolve the matter very soon. Evang. Emma Ofano, for the second time, never did, never in anyway support settlement of the matter but the next was to be seen with her in his normal weekend musical business show. The first outing was in Otoibio (Otigho) before December of that year, 2015. While being seen around him, it was at this time that my wife took me to court. Can Evang. Emma Ofano claim ignorance of not knowing the plot before he took her out of my home and after leaving the home? The simple answer is no, especially as he was the major architect to other plans that followed. In this situation, what should a spiritual father do if his spiritual daughter has a matrimonial problem? He did not stop there as he joined her in giving excuses on why his spiritual daughter cannot return to her marriage as the husband is an Amorc member. If we take this Amorc issue into consideration, can Emma Ofano attest for the source of money of his business partners who patronize him for his musical show and those who donate buses for his fake evangelism? Can he even attest for himself? At this juncture, does anyone need a soothsayer to know the actual brain behind our marriage problem? People, especially his numerous fans, are defending him by saying that he took her away to settle the matter. If this is the case are they aware that their musical idol, for a period of two years and above has not made any move to do so? If this is the case, what mind was he having when he initiated the idea of removing her from the marriage? Can these fans answer this question? Or what do we call a relationship between a spiritual father and a daughter that is tighter and stronger than that of a husband and a wife? We shall come back to the Amorc issue and the role my wife had played in the past. It will interest everyone to note that after l recovered from stroke in 2004, it was my wife who appealed to me to find solution to myself by any right means. It was then the idea of registering as an Amorc student came which l did. In fact, she is an associated member and had participated in most of their activities. Between 2008 and 2009 when asthma was troubling my son, both of us were using distant healing to subdue it through Amorc principles. Each time the illness comes up which was mostly in the night, she would call me while l am in Asaba. At such time I will direct her to take a cup of water, hold on to the cup of water with full concentration which is visualization and meditation. After a time I will direct her to give him and after drinking and within 30 mins to an hour the boy would bounce back to life. As soon as my wife noticed this healing force, she started going against my membership of Amorc. It did not stop there as she attended the 2013 Annual Convocation in the Amorc Park, Ugbomro near Effurun and spent three days. At the end of that annual Conference I asked for her observations and she said as follows; there is nothing bad or wrong about Amorc but if one is not educated, he or she cannot benefit due to its classic language. For show of shame, it is the same person saying a different thing now, saying, it was all darkness. The Committee drew her attention to the fact that, how she attend the activities of darkness for three days? She was unable to give any answer. That is Rose for you. Q. Sir, if she is aware and participated in Amorc activities, why is she going against your membership of Amorc? ANS; You can ask her any time you see her. There are two types of groups who fear or complain about Amorc. One, the group of men who are evil and want to remain in evil, witches and wizards or those who are purely ignorant about Amorc activities. Be properly informed that Amorc is a harmless group or society. All their members belong to different religious group and noted to have paraded some of the most intelligent and sound minds in every human endeavour on the surface of mother earth. No binding oath and never entertains any form of evil nor having any mind of carrying people’s wives from their marriages. Q. So, coming back to your further step, what later follow? ANS: For a period of a year plus, my wife remained under the strong grip and control of Evang. Emma Ofano, as said earlier, avoided invitation for settlement from peacemakers. At this period too, it was a different story for different persons yet most of them never saw any good reason why a marriage should break not to talk of why she bluntly refused to attend any settlement invitation. As this drama continues, something struck me that there is someone outside my wife family is controlling her who might not be far from Evang. Emma Ofano, considering the fact that he has not shown any interest for peace whereas he was the one who removed her from her marriage in a questionable circumstances. I therefore went into investigation which confirmed my suspicion. With this information, I paid a surprise visit to Emevor to meet with a leading elder in my wife’s family, Mr. Levi. I told him that the force controlling my wife is outside the family contrary to my line of thinking therefore I have come to seek the leave of the family to hear me on what actually took place with a view to settling the matter. As soon as my wife got the information that I broke into Emevor and had audience with the family notable member, she went into action once again with her master planner to frustrate every effort by the family to hear me. Even in our February 10, 2017 meeting with the family at Emevor saw clearly the handwriting of my accusation on Emma Ofano on the wall. After the abortive meeting, both my wife and the mother started harassing Mr. Levi on why he is listening to me and she went further to warn me not to visit Emevor again. How would one describe a woman who had told the public that her family is siding her to leave the marriage because I disregarded their invitation, when in actual sense, there was none extended to me, disturbing every process of my visit to settle the matter? Right there during that aborted meeting, my wife was attacking me why I was accusing Emma Ofano. What could have informed him of such defence? Evang. Emma Ofano was directed to be involved in the peace process until the entire issue is finally resolved. On my own, though the Committee saw the public comments through the interview, I was queried for overreaction, even though circumstances of falsehood against me drove me to clear the air. The withdrawal was directed to be contained in July, 2017, edition of Isoko Mirror as we were already meeting on June 5th, 2017. Secondly, I have to meet with my in-law irrespective of the fact that hearing from their daughter only was what they did without hearing from me the son in-law before backing her to go to court drew so many queries from the Committee as well. Then in the next day which was June 17, 2017, the Diocesan Peace Committee had to go to Isiokolo, seeks the leave of the court to withdraw the matter for final settlement. My wife was directed by the Committee to return to her marriage as there was nothing one could hold on to as really being so serious as to bring separation. She boldly told the Committee that l have to leave Amorc and publish it before she can return. The Committee told her that in the case she presented, nothing concerns Amorc. Apart from that some of her statements cannot be reconciled. Then, even though the Church does not flow with Amorc activities there is no record anywhere that Amorc kills. If she has any such record let her produce it, the Committee demanded. Finally, as a Christian which they think she is, if it is her belief that Amorc is bad by faith and with prayers, the husband can leave on his own, the Committee concluded. However, when the Committee demand for her wedding ring, her finger was empty which took everyone by surprise. There were further issues which also took everyone by surprise. One, she claimed that there was a day when birds flew into our room. According to her, when she woke me up whether I am seeing the birds, I told her no and from there she started having fear. The Committee asked whether she can identify any of the birds, she said no. The Committee also asked her whether the door and the windows of the room were locked she said yes. She was asked further to mention any other person among seven of us, she said no other person saw the birds. The Committee told her that how can birds gain access to a room that is properly locked and which eyes do you have to see birds that no one else sees? There was no answer from her to these questions. While all these drama were going on, Evang. Emma Ofano including other family members were all there. The Committee threw off her arguments that I must leave Amorc before she can return to the house. Contrary to what Evang. Emma Ofano has been telling people and based on these facts above, the Committee did not give that as a condition saying Christians do not fear anything even if it is evil and they themselves, based on existing Supreme Court Judgment, Amorc is no longer associated with secret cults or organization, it is therefore viewed as harmless and not secret organization therefore membership is a personal affair, which it cannot make as any condition of settlement, the Committee reasoned. However, there is something called “equity” which means fairness. There is a common legal parlance which says that he who demands for equity must come in clean hands. In this situation, Rose hands are not clean enough to qualify for the request of equity. The action taken by her to run away from her marriage which was supervised by Evang. Emma Ofano is very counterproductive as it further reveals and increases her past questionable life, much more than I knew about her and I began to count myself as a lucky man to have survived that inferno call a wife within the eighteen months we sojourned as husband and wife. It greatly but fearfully casts aspersions on the future of our marriage as couple. Another question is that can she genuinely change and live a normal marriage life now that she is very wild in character? But surprisingly, on June 6, 2017 few days after the Diocesan Peace Committee meeting and resolutions, that is the eve of going to withdraw the case, my wife sent a text to the Committee to withdraw from the matter as follows: “Mr. Obrifor, Rose elder brother called to warn the church to stay clear from the matter that Utowhare has never appeared before the family to request for settlement”. As I talk to you now, my wife is denying that text she sent and my in-law is equally rejecting ever directing my wife to send such arrogant text to the Holy Church. I will not doubt my in-law because right from day one of this issue, unknown to the family, my wife with her co-travelers, have a mindset, the resolve to leave the marriage at all cost. With this arrogance on display, the Church, that is the Committee, was unable to start the first step but called Evang. Emma Ofano with this information as, in order to continue with this peace process, to go for the withdrawal at Isiokolo but he refused thereby stopping the entire process. As we talk now, it is the Emma Ofano, who, in company of my wife, telling the public that because I refused to leave Amorc, see my in-laws and never went ahead to withdraw the publication hence my wife refused to return to her marriage. I never knew that within this short period my wife, Rose and Emma Ofano have graduated from the School of Lies. The rate and the speed of their even coated lies are amazing but the question is that, what forms their common resolve to be speaking in one voice? After the Church meeting, another drama follows. This time, I called Emma Ofano to meet with her spiritual daughter to enable us know the way forward so long she had warned the church to keep off the matter. He defended her that because I refused to leave Amorc hence she cannot return to the marriage. I quickly drew his attention to the fact that, he should understand it clearly that the Committee did not give such condition. However, in spite of the fact that I was not allowed to talk on that Amorc issue, I told Evang. Emma Ofano that l am ready to leave Amorc if that is the only thing that can bring peace provided, Rose has to tell the Church, the Committee members who are the clergy and family elders the prophets who told her that I am going to return to square one, get poorer and beg before I could eat and these ugly events started manifesting for the past three years. Two, to reveal the prophets who asked her to burn candle in my house which she admittedly did and those people who were telling her that I am not up to the man who could marry her. Finally, to reverse all the curses she had pronounced on me with dire consequences. As I talk to you now, Emma Ofano stopped talking with me from that moment which shows that he did not meet with her on these complicated but implicated issues because he saw the real implication ahead of those careless statements. My main annoyance is that, how can the man who had acted in that negative and evil manner will be the same person carrying those lies against me and one expects me to remain quiet? I want state here that the issue that concerns Evang Emma Ofano, her superior daddy who is higher than the husband and the children in her life must always come through her hence her name is frequently mentioned if not my main focus here is the activities of Evang Emma Ofano himself but not directly my wife. Q. cuts in........Sir, I must confess that the stories are sad and not good for the ear. In spite of that, did you make further efforts? ANS: My brother, I was going to add it when you cut in. I still went further to enable the family see me even though my wife had stopped the total labour of those respected clergy men but met brick walls. I texted the man who headed my wife delegates from Emevor, Mr. Levi to the meeting at the Cathedral, Oleh. As there was no response, I had to meet him one on one at Emevor to give me a date to enable my people see them. The response showed a divided family members due to my wife’s behaviour because she sent that text without letting anyone of them at Emevor including the three of them who accompanied her to the meeting at the Cathedral know. I did not stop there, I had to call the brothers including the one that my wife claimed sent the message in Benin, but no one gave me any date. Not even that was not enough, two of my family members, Evang. Peter Ogodo and Evang. Godspower Ewhre, visited the mother for the way forward, the reception was the poorest they ever seen. All these were done in spite of the fact that the first step was stopped by my wife and Emma Ofano who refused to obey the Church. So the question is that, how can Emma Ofano who, even after disobeying the Holy Church and my wife who has that lion heart to warn the Church that wedded us to keep off the matter will not be blamed but Emma Ofano who is disobedient to the Church and the two self-acclaimed God’s servants cast blame on me? This is the main reason why I have to come out with another public statement because it is very clear that I have been living in the colony of liars and worshippers of falsehood so the public had to be properly informed even if it means two of them cutting off my head. In spite of these shameful acts, Evang. Emma Ofano is still boasting that he will deal with me. I have also reported him to relevant authorities to hold him responsible should anything happen to me or my children. Q. And what are people saying........? ANS: While both of them struggle to keep the lies and falsehood in the mind of the public to see me as the a bad person but thank God, apart from this public statement, unlike the first time when she was taken from my house by Evang. Emma Ofano, people are now seeing the truth and had begun to ask relevant questions on the veracity of her claims. For example, how can a woman with five children just wake up and allow someone to remove her from her marriage? Very good because the python does not kill the animal it does not eat. If it is the issue of Amorc, do Amorc kill people? How many Amorc members wives have run from her marriage? Why can’t she run away when the husband was training her? Is salvation no longer personal? How can a person living among seven others in the same house claim that only her will die if she continues to stay in the house? At this point they will conclude that for a native Isoko or Urhobo wife to say she will die in her marriage, it means she must have gone wrong. These and other questions are the new line of thinking and people have come to the understanding that the once acclaimed woman of God must have done something ungodly with the man of God who took her away from the marriage hence all attempts to run away from the marriage at all cost. Q. So, at this juncture what is your aim in making these public statements? ANS: At this juncture, let me repeat all what I have said so far. One, apart from removing her from my home, he did not make and has never made any effort to bring us together for any form of settlement at any time. Two, in spite of those consultations, calls and texts from me, he never responded, nor called me or send anyone to reach me. Three, he has never responded to any of my written communication either through texts or letter. Arising from the above, what can one conclude about his interest in this matter and in my wife, judging from legal, Biblical through the Christians, cultural and moral views on his attitude in this matter? Has conspiracy not stood firmed and walked on four legs here? Let us see this issue further. What name can the public give to a relationship between a man and woman who are not related by blood, yet such man controls such woman outside her husband’s control? What name is given to a relationship between a spiritual father and daughter not related by blood that is tighter and stronger than the relationship between a husband and a wife? Again, what name is given to a man, in any guise, who has the gut and boldness to remove another man wife from her matrimonial home and supervises the breakage of such marriage? The simple answer is here again is that the python does not kill the animal it does not eat. I therefore want the church or Christians community, family member and our friends to tell me what name the public or family laws, Matrimonial Cause Act would give to a man who is not related by blood to the woman neither to any of the spouses family who took another man’s wife from her matrimonial home without reaching out to the husband nor with any interest of settlement yet the marriage is breaking? Q. Sir, in a lighter mood, in your recent facebook reaction which you later withdraw, you appear like a man weeping for a loss of a wife but in this your comments, you are sounding differently, what informs your tactics? Ans. I am a trained media man and also know tactics to use. I knew what I was looking for and I got it. The rest is my own professional approach and any yielding tactics could be employed. Q. What is actually bothering you at this moment? ANS. There are many things bothering me. Come to think of another man who is not related to a woman having the mind of removing a woman from her marriage and such that woman buying the idea of such a man and dutifully followed him out of her marriage which separates such home, what name is such relationship called? Has this act alone created an inglorious history never ever witnessed by anyone among Christians musicians not to talk of two popular ones? This act also goes beyond mere promiscuity but conspiracy had added evil dimension with the sole aim to destroy my entire family forever. Another set of questions are: Can any of Emma Ofano daughters have problems and he goes to sleep? Two, can any other person do this to his daughters or sister what he has done to my wife in any guise? Three, Can anyone from any culture point at any human culture that permits this raw but ugly behaviour? On a more serious note, for Emma Ofano to be supporting a woman with five children to leave her marriage, where himself participated in removing her, one can easily arrive at a very wild conclusion that for what he has done and how far both of them need protection and one can best imagine the magnitude of the secret that both of them are protecting. Four, let Evang. Emma Ofano give a name to a relationship between the so called spiritual father and daughter is tighter or stronger than that of a husband and a wife. Let he, Evang. 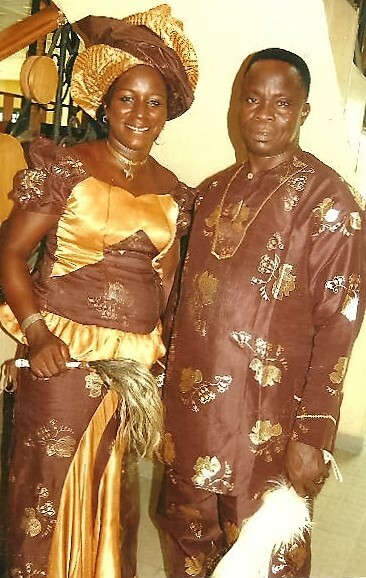 Emma Ofano tell the church, the Christian Community and the general public why it becomes right for him to remove my wife from her marriage while his sister Lizzy Okpa and his three daughters even his wife have to remain in their marriages? Five, let Evang. Emma Ofano point at any person who had removed a woman she claimed he is close to in any of the churches he has even been and known and from where in Holy Bible is such act permitted? Rose as an adult has every right to her choice of action irrespective of the effect. Evang. Emma Ofano, also as an adult may have a choice of taking any action as well in removing and marrying, either publicly or secretly, people’s wives as a new set of crusade but both should be able to accept their individual or collective responsibility but what I am protecting that leads to this public comments is to avoid a situation where the public will be wrongly fed not only with wrong information but using my name as a rubbish pad to cover up for their shameful and ungodly acts. Q. Sir, recently, we have seen in your comments which shows that you still need your wife back, is that still your present position? ANS: Divorce is a shameful act for anyone who carries it out according to our traditional setting. That is why the Holy Bible does not tolerate it. I do not know which of the Holy Bible both Emma Ofano and my wife are using as practicing Christians, where the option of divorce becomes the alternative. This is why I continue to insist that I am not a party to divorce, but come to think of a wife, an acclaimed Christian for that matter who can sacrifice the peace and education of her children by creating further hardship in the home by taking a husband who brought her from academic grave to its pinnacle, wasting money meant for the children upbringing for lawyers, a husband who took her to Europe as the first female singer who had made pilgrimage journey to the Holy Land, Israel but no consideration and human feelings but being seen jumping from one Christian ceremony to another but disobeying and disregarding even men of God who wanted settlement of the issue, including turning down invitations in the most arrogant way, the most surprising one is the invitation from the Ovie of Uzere, which I have never heard of since I was born, whose such royal disobedience is well known to Evang. Emma Ofano, her so called spiritual father, went ahead to disobeyed the Holy Church, (Anglican Communion) that wedded us, worked to cause great division and disunity in her family where she is now bigger than her family and Church, but most importantly, disobeyed and disregarded the directives of the presiding judge handling the of the case at Isiokolo High Court to, even not listening to her children plea for her to return, who else will my wife obey and how would you describe such a wife and how is one sure that she can be in anyway reliable as a housewife under any man call husband? Again, on the part of Evang. Emma Ofano, her partner in this drama of show of shame, to add to the growing number of runaway wives, how can a man who removed my wife from my home, scattered my entire family, siding her not to return to her marriage, having polluted her severely, turning her a serial liar overnight in a desperate effort to cover up their ungodly acts after both of them had disobeyed the Holy Church, and becoming her evil guard, be the same man who is tarnishing my image and at the same time boasting that he will deal with me when I have not reacted and when I react, someone over there would cast blame on me? Is it because I chose to be Godly and quiet? If not, can Evang. Emma Ofano act this way to any ungodly or rascal man and remain scot free? I want the world to watch and that is why I have sued him to the public Court because the voice of people is the voice of God. I therefore challenge Evang. Emma Ofano to disprove these honest facts. I also therefore challenge Evang. Emma Ofano if he has any proof that relates him to my wife by blood which enable him have free access to her and took the action of removing her or he was not the one who remove her as he confesses before the Diocesan Peace Committee and before representatives of the three families.